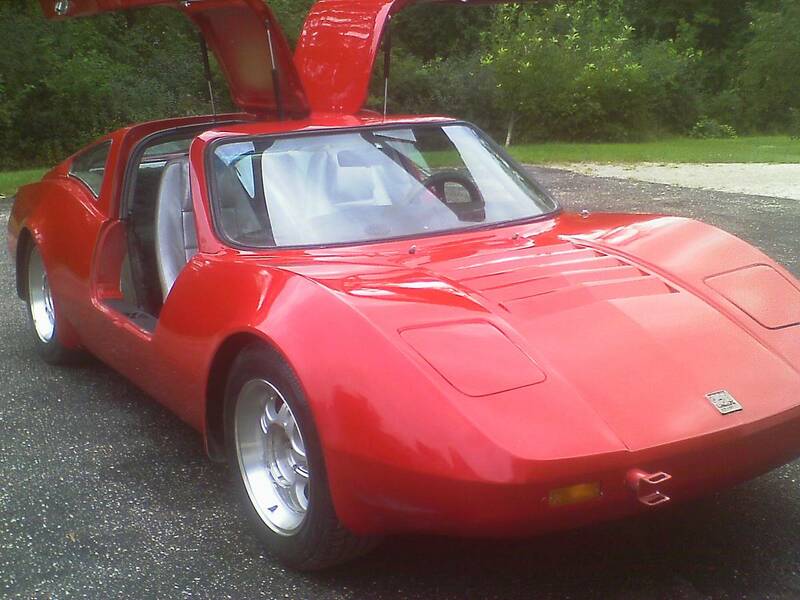 The Bradley GT was one of the more common kit car of the 70s; not as popular something like the Meyers Manx, but slightly more functional as a car and equally cool. Today's example is something special because it doesn't have Volkswagen power. 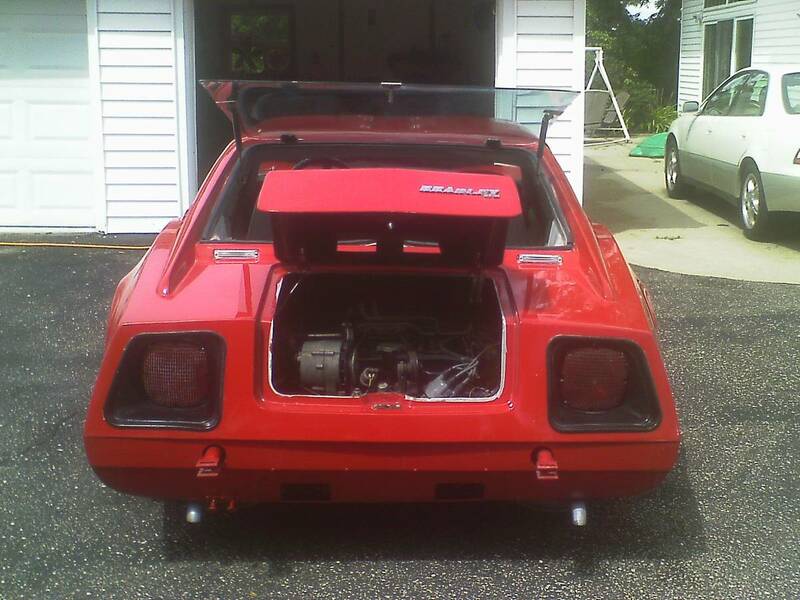 Find this 1977 Bradley GT offered for $2,800 near Milwaukee, WI via craigslist. Tip from Rock On! 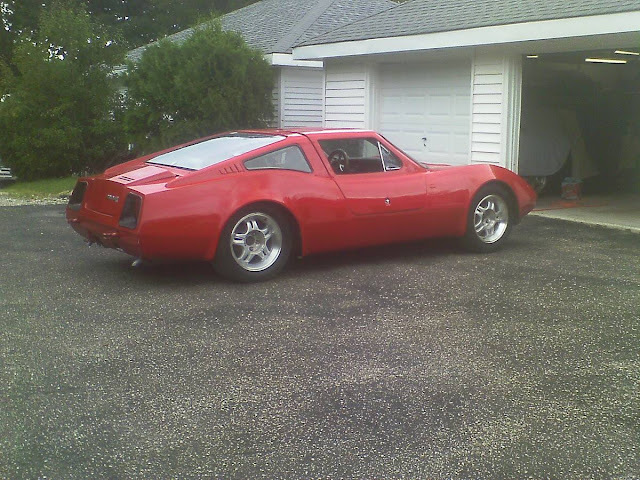 The Bradley GT was available with a number of roof options and this one has a hatchback setup with some Ferrariesque rear buttresses. It actually looks pretty good for a kit car if you ask me. Powering this Bradley is a flat-6 from a 60s Corvair, reportedly the 140 horsepower version with a quartet of carbs. With 2.7 liters of aircooled power, this should be faster than all but the most radically VW flat-4 built versions. Same wheels with out the center caps as the Jimmy below. I had one of these and loved it. Let me tell you, this car really brought in the ladies if you know what I mean. These cars had very comfortable seats which I appreciated greatly because I was always sore from landing funny. I never did figure out the landings.